With a stay at Lee Gardens Plaza Hotel Hat Yai in Hat Yai (Downtown Hat Yai), you'll be steps from Lee Garden Plaza and 5 minutes by foot from Kim Yong Market. 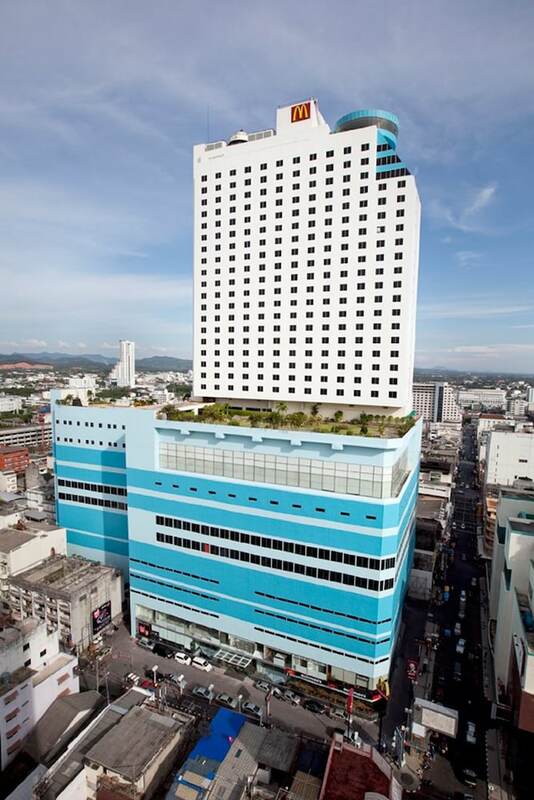 This hotel is 1.9 mi (3.1 km) from Bangkok Hospital Hat Yai and 2.1 mi (3.3 km) from CentralFestival Hatyai. Make yourself at home in one of the 405 air-conditioned rooms featuring refrigerators and LCD televisions. Complimentary wireless Internet access keeps you connected, and cable programming is available for your entertainment. Private bathrooms with shower/tub combinations feature complimentary toiletries and hair dryers. Conveniences include desks and minibars, and housekeeping is provided daily. Don't miss out on the many recreational opportunities, including an outdoor pool, a sauna, and a fitness center. This hotel also features complimentary wireless Internet access, concierge services, and shopping on site. Enjoy international cuisine at Buffet 33, one of the hotel's 2 restaurants, or stay in and take advantage of the room service (during limited hours). Snacks are also available at the coffee shop/café. Buffet breakfasts are available daily from 6:30 AM to 10 AM for a fee.